A 19-year-old woman arrested following the death of a male pedestrian in west Belfast yesterday has been released pending further enquiries, according to police. The man, 48, died after being struck by a red Toyota Aygo on the Andersonstown Road, close to the junction with Slievegallion Drive, shortly after 4:40pm. The road was cordoned off while emergency services attended the scene, but has now reopened to traffic. “The Andersonstown Road in west Belfast has reopened following a fatal road traffic collision on Monday. 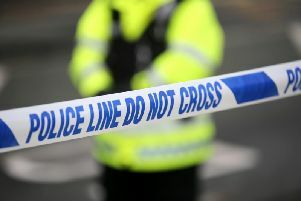 A 19-year-old woman arrested in connection with the collision has been released on bail pending further enquiries,” a PSNI spokesman said.